A high pressure weather system which enveloped the fleet in light winds overnight has further compressed the top five standings and given trailing Abu Dhabi hope of staging a comeback as the leaders try to set up for a fast ride on the next east moving cold front. 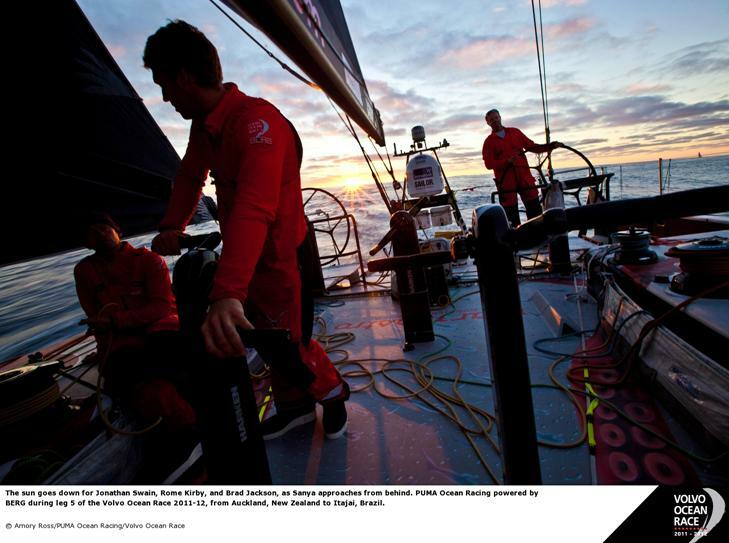 "We’re all waiting for the same thing and that’s a lane of passage through the high-pressure ridge that has swallowed us whole,” said Amory Ross, Media Crew Member on PUMA Ocean Racing powered by BERG. 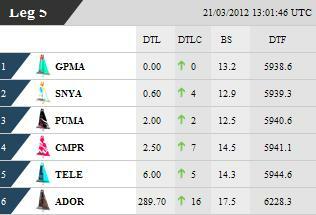 Groupama sailing team emerged as new leaders at 1000 UTC as the sub-10 knot northerly breezes turned the fleet east. Meanwhile CAMPER with Emirates Team New Zealand and Team Telefónica have pushed further south in search of an early escape from the high pressure. "There is a high pressure ridge that has been blocking our way and the routers are always massively over-optimistic about getting through a ridge like that so we decided that getting to the south was the best chance of getting around the bottom of it and into better pressure,” explained CAMPER navigator Will Oxley this morning. 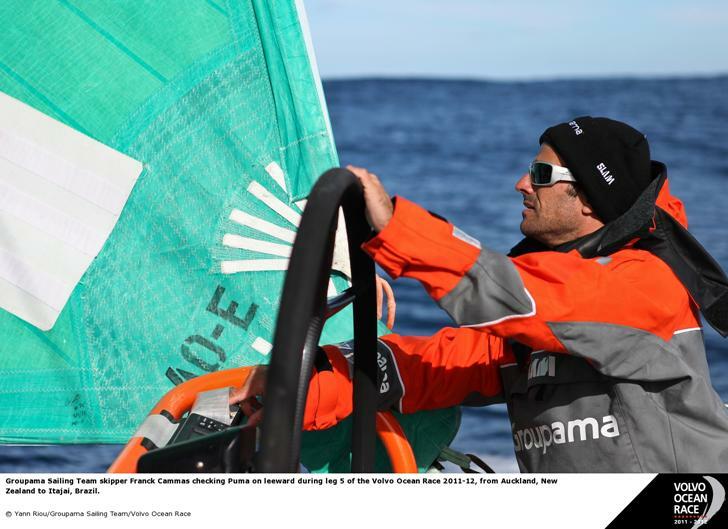 Groupama navigator Jean-Luc Nélias said two possibilities lay ahead — each with different implications for the crews. "One is slower but easier, the other one is faster but looks hellish,” Nélias said. 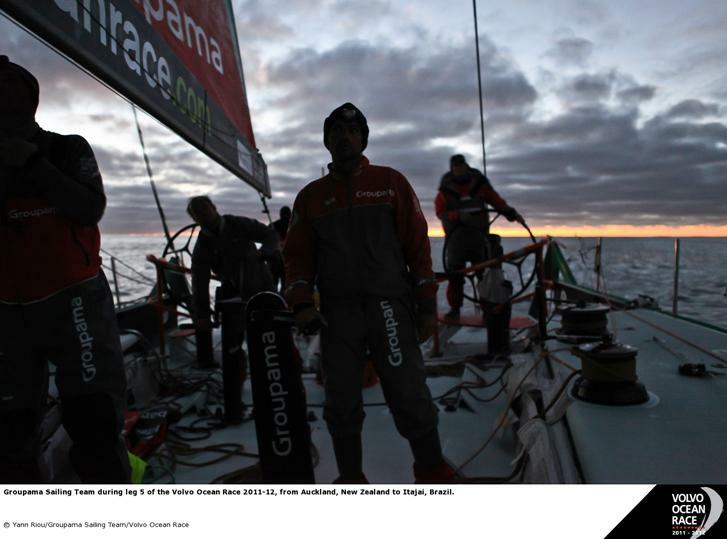 "The fast option really looks infernal, a true challenge with lots of cold and unstable winds and a bad sea state. We would follow a low pressure until the Cape Horn in winds always above 30 knots. "On the other hand if we are too slow tonight we don’t get to surf that low pressure we will be back in the transition with lighter winds. "We’re balanced between both options — successfully catch the low and live the hell or miss it and live a more ‘pacific’ Pacific. CAMPER skipper Chris Nicholson said having successfully repaired a non-critical bulkhead break the crew were now bracing for the fast running that may lie ahead. "A bit of it is just everyone having as much rest as possible today and eating as much as possible,” Nicholson said. 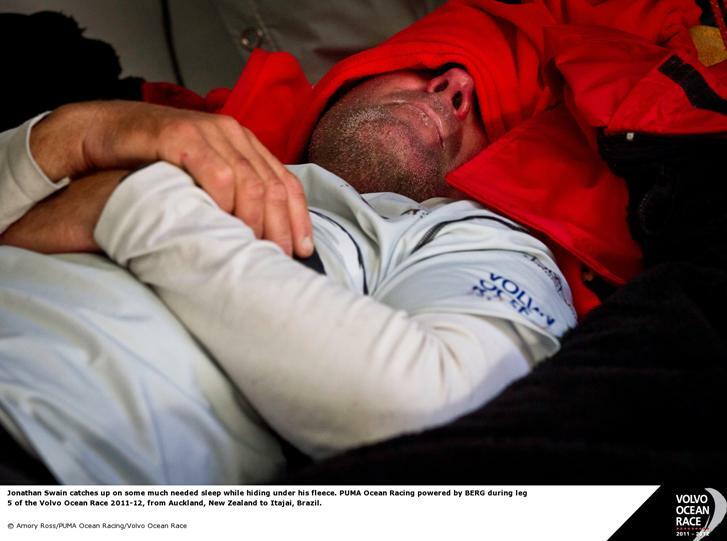 On sixth place Abu Dhabi Ocean Racing skipper Ian Walker said he had been frustrated to be encountering light airs which reduced their gains on the leading pack. However, Walker believes an opportunity could emerge for Abu Dhabi to cut the corner on the leaders if the high pressure system currently forcing the main pack south moves to the north east before Abu Dhabi get there. "We have closed the gap off already by about 100 miles,” Walker said. “It’s been difficult as we have been in light winds ourselves for the last day else we would have closed them down more. Walker said he hoped it would not be long before Abu Dhabi were into the faster sailing associated with this leg. “Twelve or 24 hours and we should have the spinnaker up and we have some running conditions to get through,” he said. By 1300 UTC today Groupama and PUMA had followed CAMPER and Telefónica towards a more southerly route leaving Team Sanya temporarily to the north. That elevated Sanya to second in the standings, less than a nautical mile behind Groupama, with PUMA, CAMPER and Telefónica all within five nautical miles. Abu Dhabi by this point had closed to within 290 nm of the lead.